It looks like Halloween won't be the only major franchise Blumhouse tries to reinvent in the future. The studio has made a huge name for itself over the course of the last decade by turning micro-budget genre flicks into huge hits. Some recent examples include Get Out and Split. They also have a knack for turning these successful hits into franchises, such as Paranormal Activity and The Purge. Now, they're getting into the pre-established franchise game with Halloween 2018, which is set to arrive in just a couple of months. But studio head Jason Blum reveals that isn't the only big franchise they're going to try and tackle in the years to come. Jason Blum, the man largely responsible for making Blumhouse what it is today, recently did a pretty extensive fan Q&A on Twitter. Quite a few of those fans were interested in other franchises, remakes or things of that sort that could be coming down the pipeline. When asked specifically if the studio would be getting the rights to any other big horror franchises, Blum had this to say. In the past, Jason Blum has expressed interest in bringing Jason back in a Friday the 13th reboot. That also came up here and he re-expressed that interest. Unfortunately, that particular franchise is in the midst of a complicated lawsuit, so that's probably going to be difficult to nail down for the time being. But some new franchises came up that are undoubtedly intriguing. Scream, Alien and The Crow all came up and Blum revealed that he's actively tried to get the rights to The Crow. Most recently, the upcoming reboot with director Corin Hardy and star Jason Momoa failed to get off the ground. So maybe it's time to give Blumhouse a crack at it. With Scream, he was less eager, taking a "never say never" approach. 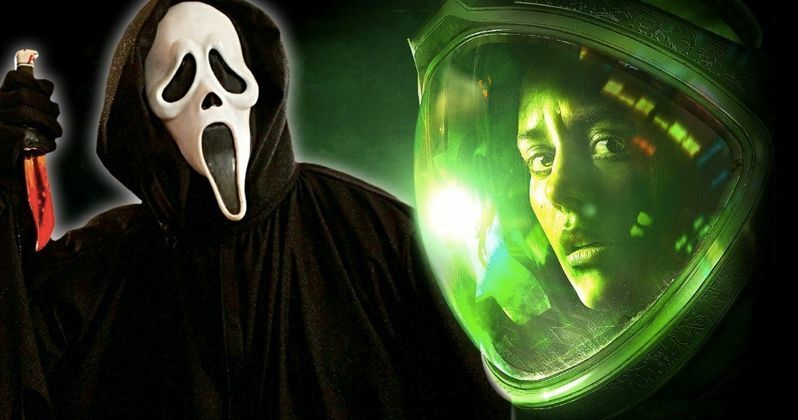 As for Alien, Blumhouse could be the best place for that franchise right now. Last year's Alien: Covenant didn't do what Fox was hoping it would do. That stalled the planned sequel and now with the Disney takeover of Fox pending, it's likely another movie won't get off the ground in time before the merger happens. However, Alien isn't really in Disney's wheelhouse. Maybe they can work out some sort of deal? Strangely, Disney is working with Blumhouse to help distribute Glass worldwide, so that door could be open for negotiations down the road. One franchise that Jason Blum didn't bite at immediately was Nightmare on Elm Street. Though, he didn't rule it out. Another interesting fact he dropped is that Blumhouse passed on the chance to do a remake of The Blob. They also tried to get the rights to Stephen King's Christine to give that another go. As for what franchises will actually get a second (or third) life at Blumhouse? We'll have to see what the future holds. You can check out the responses from Jason Blum's Twitter Q&A for yourself below.